We have previously discussed the revenue windfall that selling multiples in your live auction can bring. It's no surprise that exclusive, unique live auction packages often generate interest from more than one bidder. If you can successfully capture the second and third-high bidder (or more!) on certain items, you'll quickly raise tens of thousands of dollars more for your cause. 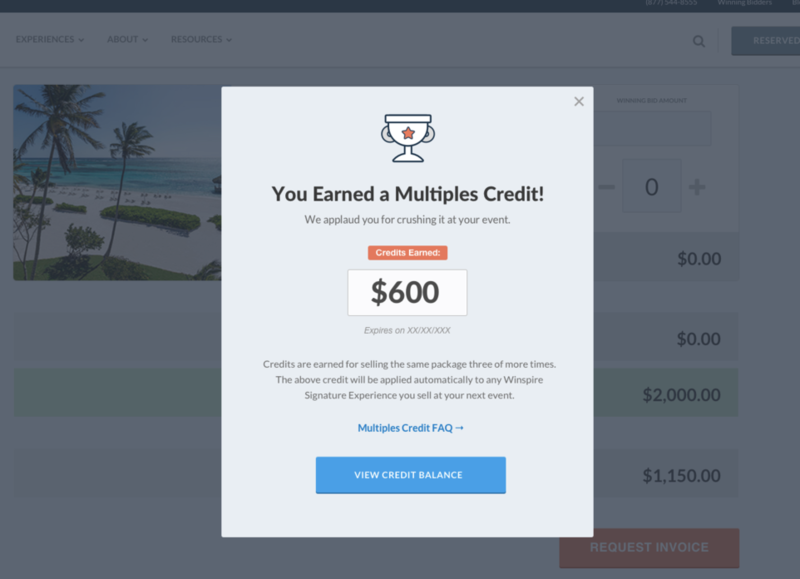 To that end, we are excited to launch the Winspire Multiples Credit, a new program that provides nonprofits with an additional revenue stream. Here's how it works: When you sell three or more of the same Experience, not only do you make more money—Winspire provides a credit to use toward your next event. In the past decade of providing consigned travel packages for charity auctions, we have seen over and over again the benefits of having an auctioneer who can sell items multiple times. Indeed, being able to sell almost any no-risk travel package virtually limitless times has always been one of our core benefits. The new Multiples Credit adds just another benefit to doing so. Here's how much you could earn by selling multiple Winspire packages at a fundraising event. Every package of the same Experience sold over the fifth sale adds an additional $500 to your credit balance. 1. Use this fundraising technique sparingly. Don't try this on every item; instead, limit to the few packages generating the most interest. 2. Try bundling Experiences to create a group vacation. If a table of 8 is interested in Napa Valley Backroads & Railways, for example, they can buy 4 packages and reserve the same dates while booking. 3. Make sure your auctioneer is highly familiar with the details of each package. Which items can be purchased multiple times, and which can only be sold once? 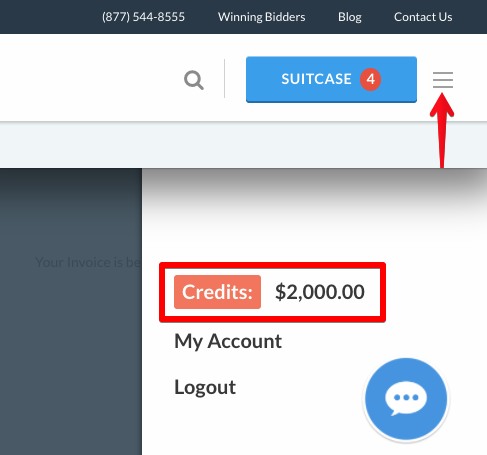 What's the minimum threshhold that bidding should reach before offering a multiple sale? Next year, or when your next event rolls around, this amount will automatically be deducted from your final invoice. Please note the credit must be used within 13 months of the event in which experiences were sold. Additionally, the credit may not be applied towards Luxury Properties, our hotel-only items designed specifically for silent auction tables. Ready to get started? Click below to reserve bucket-list trips for your next fundraising event, with no upfront cost. 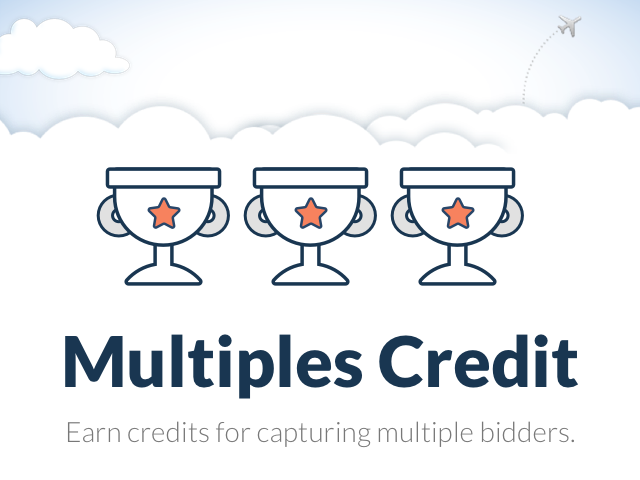 We hope you are able to earn Multiples Credit in your next event! 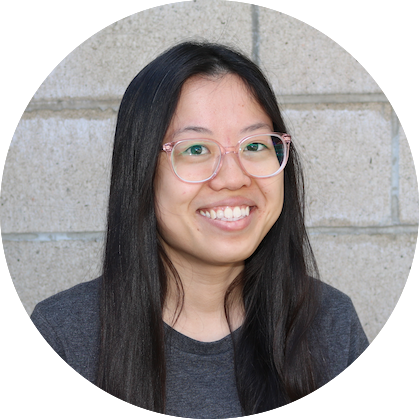 If you have any questions, please leave a comment or request a free consultation with your designated Fundraising Specialist.